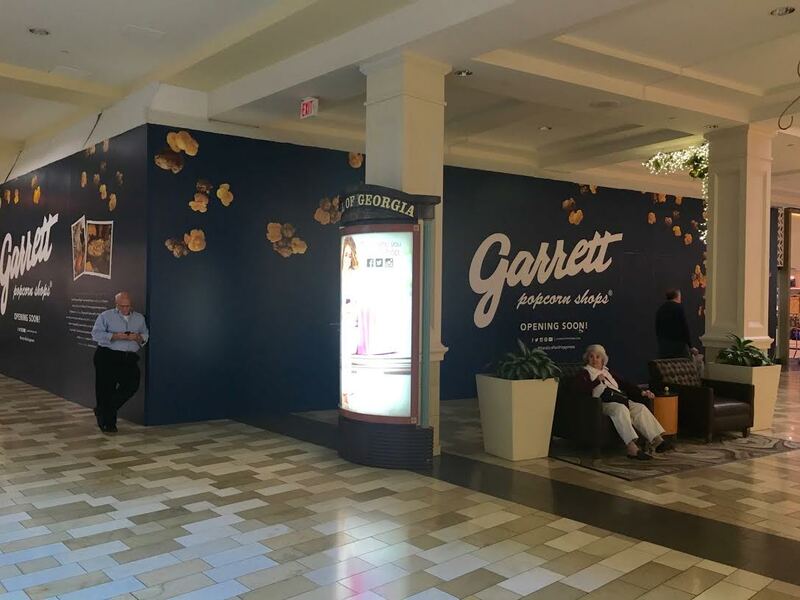 Chicago-based Garrett popcorn shops plans to open a location at Mall of Georgia in Buford before the end of the year. The Mall of Georgia location will be on the main level of the mall, near JCPenney. The space the popcorn shop will occupy was most recently Naartjie, a children's clothing store, and before that, it was Lids and Origins, the skincare store. The Mall of Georgia location will be the chain's second in Georgia. Garrett's first metro location opened at Lenox Square last fall. Three new Bojangles' are coming to Georgia in Newnan, Lithonia and Snellville. The Newnan location will be located near the intersection of Georgia Highway 34 & Posey Road. The roughly 3,800 square foot restaurant will be built on a 1.3 acre parcel. The Lithonia location will also be about 3,800 square feet on Turner Hill Road, near Stonecrest Mall and adjacent to an existing Rite Aid. In Snellville, Bojangles' plans to open on vacant land at 3511 Centerville Highway. Like the Newnan and Lithonia locations, the Snellville restaurant will be about 3,800 square feet. The Bishop on North Avondale Road in Avondale Estates will close November 29th. The restaurant, which was opened last May by hospitality veteran Luellen Marshall, simply never received the neighborhood support it needed to succeed. Personally, I think the restaurant may have been too "Decatur" for Avondale Estates. Southern Comfort Restaurant & Lounge, a popular dive bar located just outside the perimeter in Conley, will be closing this coming Sunday. Southern Comfort is consistently ranked as one of the best dive bars in the Atlanta area, and has been in business for about 25 years. A restaurant representative indicated that normal closing hours will hold true this week, but that this will be the last 3AM closure on Sunday night/Monday morning. Nashville-based I Love Juice Bar has sold its Morningside location to Atlanta-based Kale Me Crazy, a similar concept. I Love Juice Bar opened in mid-September making this move especially surprising, on the surface. A Juice Bar associate indicated that the owners got "a really good price," and were therefore willing to sell. I Love Juice Bar locations remain open in Toco Hills Promenade, in Johns Creek and in Suwanee. Kale Me Crazy has existing locations in Inman Park, Decatur and midtown, and has locations coming soon to Brookhaven and Sandy Springs. After twelve years in business, Bhojanic will be closing its Decatur location November 30th. Ownership mentioned that their lease had come to an end and they "could not come to terms on a lease extension" in explaining the closure. According to the restaurant's facebook page, "A new concept will be opening in the area the first quarter of 2016." Bhojanic's Buckhead location, which opened in 2013 at the Shops Around Lenox, will remain open. Hooters opened its newest Atlanta area location last week in Buford. I previously reported on the new location and how modern and good looking the building is. I hear the waitstaff ain't bad either. A new Pollo Tropical is planned for an outparcel of the Walmart Supercenter-anchored Marietta Trade Center at 260 Cobb Parkway South in Marietta. Once opened, the new restaurant will be the Miami-based chain's fifth location in Cobb county. Newk's Eatery opened its newest metro Atlanta location at Perimeter Expo last week. The nearly 4,000 square foot restaurant opened in the former Pearle Vision, adjacent to the former Off Broadway Shoes store. Jamba Juice opened its new location in Abernathy Square in Sandy Springs Monday. The 1,200 square foot smoothie and juice joint is located in the Publix-anchored center at the corner of Abernathy and Roswell Roads. Other locations are expected to open early next year in Buckhead on Roswell Road in Publix-anchored Chastain Square, and in Decatur in the FedEx Office anchored center at the corner of North Decatur and Clairmont Roads. Phil Handley, former Director of Operations for Here to Serve Restaurants, has a a new position. Last month Handley was named opening General Manager of "John Portman Jr.'s legacy restaurant," JP Atlanta. JP Atlanta is slated to open next month in January and will be located within the upcoming Hotel Indigo, at 230 Peachtree Street. JP Atlanta will be helmed by Executive Chef Julio Delgado, a veteran of The Ritz-Carlton hotels in metro Atlanta. Featuring a "new American menu," JP will serve breakfast, lunch and dinner and late night service at the bar to the hotel's 203 guest rooms as well as outside guests. Demolition work has begun at the site of the upcoming Whole Foods Market-anchored Peachtree Crossing shopping center in Chamblee. As of last night, fencing surrounds the entire property with the Ashe-Simpson Garden Center nearly half gone and the former Krystal likely next to go. A new Habitat For Humanity ReStore recently opened in Doraville. The store is located just off I-85 at 3740 DeKalb Technology Parkway, Suite B. The Doraville store is the organization's tenth in metro Atlanta. In case you are unfamiliar, "Habitat for Humanity ReStores are nonprofit home improvement stores and donation centers that sell new and gently used furniture, appliances, home accessories, building materials and more to the public at a fraction of the retail price. ReStores are independently owned and operated by local Habitat for Humanity organizations. Proceeds are used to build homes, community, and hope locally and around the world." Thank you for your loyal readership, tips and comments this past year, I appreciate and value it. It is your participation and feedback on this site that keeps me going and has made ToNeTo Atlanta as good as it has become. Happy Thanksgiving, Eli! Thank you for all of your hard work on this blog and for keeping us informed. What you do is appreciated! Avondale Estates residents strongly supported the Bishop and the owner However, Avondale is a small city (one fourth the size of Decatur) and the marketing strategy by the owner never seemed to extend past the Avondale city limits until the last four months. Very sad to see this restaurant close. Delicious food in a classy setting. Glad the Garrett popcorn fans in Buford can now get their fix. However, I will admit to being severely underwhelmed by my experience at their Lenox Square location. Rude disinterested employees plus stale soggy popcorn equals not again for me.